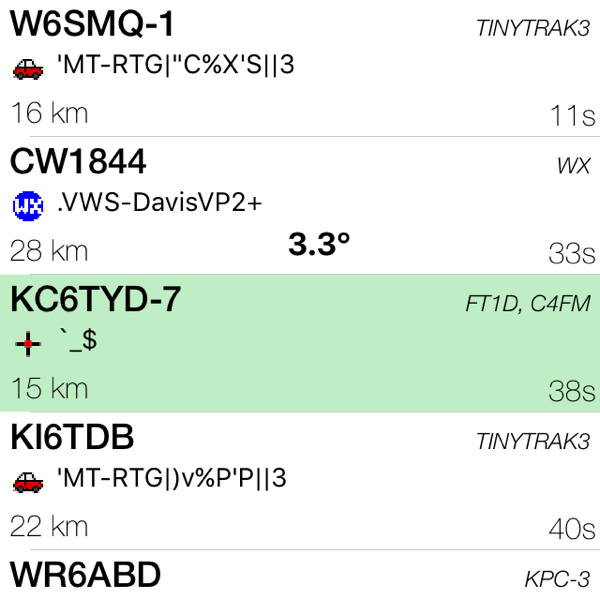 Free APRS iOS application for radio amateurs, RTL SDR users or curious. Choose the stations your want to highlight, based on devices capabilites. Offline notifications will be offered free of charges in the next major release. An offline database is included so you can find repeaters around without an Internet connection. (under Search tab). 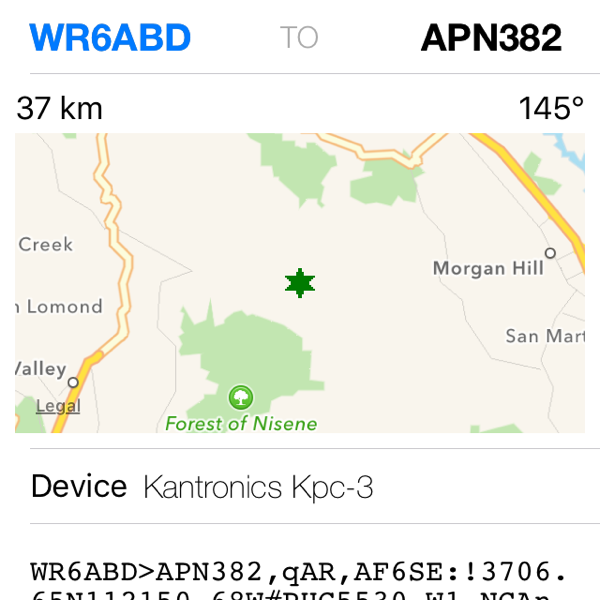 Posting my location via APRS-IS? 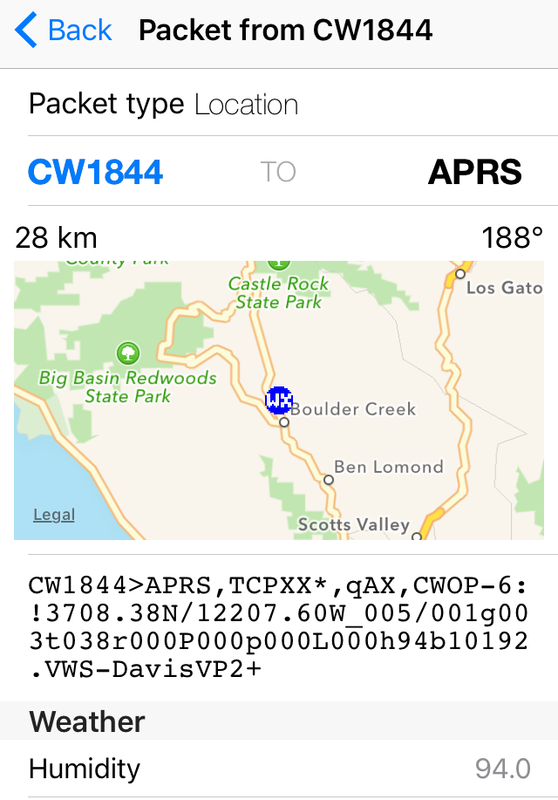 Due to the way APRS-IS works it's the responsability of the developer to provide passwords & check for the amateur license of the users, time I don't have, expect it in a later release when it could be automated. Using it with a transceiver? First releases will focus on a connected to APRS IS servers usage. I've done some experiments with an audio modem using iPhone microphone, with poor results. I've also experimented with an homemade Bluetooth APRS modem (not supported yet) that you can find on my github account this is probably the path I will follow if MyAPRS gains enough users. MyAPRS is developed with an off the grid usage in mind, with future support for offline maps, everything is done on the device without the need for a permanent internet connection. Can I pay to remove the ads? Some people are asking for a pro version to support the development and to get rid of the ads, but if only 100 people are paying 1$ it's just enough to pay for the yearly Apple license but not for the development, if MyAPRS is gaining thousands of users I will consider an ad free pro app. Please tell your friends about MyAPRS! Interested by radio amateur applications for iOS? Checkout my other app SatSat for satellite predictions. For feedback or informations please drop an email to contact at myaprs.com.